"What we call thinking is also a process whereby psychic energy gets ordered. Emotions focus attention by mobilizing the entire organism in an approach or an avoidance mode. Goals do it by providing images of desired outcomes. Thoughts order attention by producing sequences of images that are related to each other in some meaningful way." ~ Mihaly Csikszentmihalyi, "Finding Flow"
Back in the fall of 1997, I was getting ready to apply to law school. As part of the application process, I had to take the LSAT exam. All I remember about the day of the exam now is that it was beautiful and sunny, and I didn't look forward to spending most of it in a classroom full of agonizing law school applicants, like myself, trying to figure out logical patterns and compose essays. The rest is murky in my memory right now. What I also remember is that a couple of months later, I got a big yellow envelope in the mail, and I was very anxious to open it because I expected to see the results of my test. To my surprise, the envelope didn't have my LSAT score. Instead, it had a letter stating that I had an option of retaking the exam if I wished because something had happened during the test. Apparently, a car alarm went off nearby while the exam was in progress, and the noise lasted for a while and distracted a number of test-takers. They complained to the organization that administered the LSAT, which resulted in the option to retake the whole exam. Interestingly, I didn't remember hearing any car alarm during the exam. I wasn't distracted by it - it simply didn't register in my mind. Nevertheless, I had a decision to make whether to take the LSAT again, in which case it would override the score of the earlier exam, and of course, I had no idea how I did on the first test. I didn't want to take it again, so I opted out. Fortunately, I did all right the first time around, so I didn't come to regret my decision. You may be wondering by now why I am telling you this story, and I promise, it is relevant to what I am about to share with you. The reason I was able to tune out the noise during that exam is not because I can focus so well or because I have hearing difficulties. More likely, it was because I incidentally tapped into the secret ingredient of focus power. If this ingredient is present, your ability to focus increases significantly. When it's absent, your mind may be looking for a distraction or preoccupied with worry, doubt, or anxiety. The best moments usually occur when a person's body or mind is stretched to its limits in a voluntary effort to accomplish something difficult and worthwhile….Such experiences are not necessarily pleasant at the time they occur. The swimmer's muscles might have ached during his most memorable race, his lungs might have felt like exploding, and he might have been dizzy with fatigue – yet these could have been the best moments of his life. • Is this too easy for me? If it is, you will likely become bored quickly and lose focus. Your brain will look for something else to attend to. • Is this too difficult for me? If the activity is too hard, your brain will view it as a threat, triggering strong emotions. In this case, you lose concentration because you feel anxious, stressed or full of doubt. The magic happens when you get it right, when you are challenged and stretched by what you are doing, but your mind perceives it as doable. That's what probably happened during my LSAT test. I had practiced and believed I could do it, so it was a challenge that matched my skills, which helped me stay focused. As you go about your days, ask yourself the two questions above and remember that your power to focus lies somewhere in the middle between "too easy" and "too hard." Should professors prepare law students for disappointing exam results? It is a statistical fact of life that two-thirds of the law students who enter law school will not graduate in the upper one-third of their law school class. Typically, those students are disappointed in their examination grade results and in their class standing. Nowhere does this disappointment manifest itself more than in their attitude toward their classes. In the fall semester of their first year, students are eager, excited, and willing to participate in class discussion. But after they receive their first semester grade results, many students withdraw from the learning process - they are depressed and disengaged. They suffer a significant loss of self-esteem. This article considers whether law professors should prepare their students for the disappointing results - the poor grades - that many are certain to receive. I assert that professors do indeed have a role to play - in fact, a duty to their students - to confront this problem. I offer a strategy by which professors can acknowledge students' pre-examination anxiety and deal constructively with their impending disappointment. There are lessons to be learned from Casey at the Bat, Ernest Lawrence Thayer's immortal poem about failure. Hat tip to Law School Innovation. Is the stress of approaching finals getting to you? If so, Law School Academic Support Blog has some advice on how to maintain a positive outlook in this challenging time and help others do the same. Are you too busy to even consider any positive changes? In his article “Let Your Subconscious Mind Go to Work for You,” David J. Pollay describes an exercise you can do every morning to harness the power of your subconscious. It won’t take a lot of time, and the results may be well worth it. "Douglas M. Winneg of Software Secure Inc. said in an interview that he believes the essay question answers uploaded from the computers of approximately 5,200 people who used laptops to take the bar exam last week have been accounted for. The Cambridge, Mass.-based company is in the process of transferring the computer data to another company, which will print the essays and transfer them to the state Board of Law Examiners for grading." As the date of the July bar exam approaches, many of you may experience sudden panic from time to time. Here’s a quick trick to quiet those worries. Do some high energy exercises for just a few minutes. It has to be something vigorous enough to distract your mind from negative thoughts, so do a set of push-ups, sit-ups, some kickboxing moves or just run up and down stairs. It will release the tension build-up in your body and ease your anxiety. And it’s a good way to spend your study break, so give it a try. What do you do to lower your stress level? On the day of your test, you may want to eat a protein-rich diet. Your body breaks down protein into amino acids. Tyrosine is one of these amino acids used by the brain to produce neurotransmitters dopamine and norepinephrine, which are associated with alertness and mental agility. 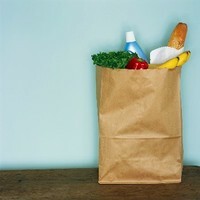 Good options for your breakfast before the test would be eggs, low-fat yogurt, cottage cheese, nuts. Add some fruit or berries (many seem to like eating bananas before the test). When you eat only carbohydrates, your brain uses another amino acid – tryptophan – to produce serotonin, which helps you relax. Carbs can be a good thing the day before your test to help you fight the jitters and get some rest. Because our body breaks down protein and carbs differently, you may want to avoid certain combinations of food to keep your energy level up. Don’t eat proteins and starch together. A white bread cheese sandwich is not good either. Consider taking a multivitamin every day. Omega-3s and B vitamins help brain functioning. You need iron and calcium in your body to be able to cope with the effects of stress. Antioxidants keep your brain and body clean. Selenium may help you feel clearheaded, confident and energetic. Make sure you stay hydrated as you prepare for your test. Water and tea are good options, sugary sodas and caffeine are not. Don’t eat a heavy lunch on the day of the test, it will make you sleepy. Consider a salad with chicken, shrimp or salmon. As a final precaution, stick to what you know as your test day approaches. Don’t experiment with new foods and supplements because you don’t know how they may affect you. Eat safe. What do you like to eat before the test? You need to read all the relevant materials for the subject matter before you start doing the practice questions. In reality, you want to start practicing as soon as possible. You won’t have time to read and memorize everything. Practice questions are a tool to train yourself to recognize legal patterns, applicable legal standards and important buzz words. Work with the text of the question: circle, underline, highlight the key words and phrases so that they would jump out at you when you take the exam. The bar exam is about memorizing the black letter law. The truth is that pure rote memorization won’t get you through. The bar exam is also about the application of the black letter law, time-management, stress-management and endurance. You need to work on all of these aspects to be ready. Just like you can’t prepare for a marathon just by reading books about it, you can’t pass the bar exam just by reading outlines. Simulate the real conditions of the bar exam as much as you can: time yourself, do practice exams, submit your essay answers for review. You don’t have to listen to all the lectures, after all, you already have your class handouts and outlines. In realty, listening to the lectures can do more for you than just reading. Good professors strive to make their presentations memorable. I still remember some of my bar course professors because they were like a one-man or one-woman show. It’s good to have the information explained to you in a variety of ways, and you get a chance to ask questions. Also, the content of those handouts sometimes has to be updated, corrected or explained in further detail. So, don’t skip on lectures. You are not supposed to have any social life when you study for the bar. In reality, you need social support even more when you are under pressure. Find time to connect with you family and friends. Go to the movies, eat out, do something fun, or better yet, play sports together. It will give your brain a chance to recharge and help you relieve stress. When you study for the bar, you don’t have time to exercise or sleep a lot. The truth is that you don’t have time NOT to exercise or sleep. You will burn out before the big day. Exercise is good for your brain, it allows you to stay physically and mentally fit. And please take those afternoon naps, they enable the brain to consolidate your memories, which is useful taken into account all the information that you need to remember. You need to do your own outlines and flashcards to prepare. If you have time to do your own flashcards, that’s great. I didn’t. I think, your time is better spent practicing. You will have enough written materials to absorb if you are taking a bar prep course (and I hope you are). You don’t need to worry about the essays as long as you do well on the MBE portion of the exam. While the score allocations vary from state to state, most people will need both strong MBE scores and good essay grades. So write out those essay answers. You really step it up a few days before the exam. Ah, good old cramming, it doesn’t work. In reality, you want to cut your studying hours down right before the exam. Take time to get yourself in a good, healthy place so that you can regain your freshness of mind, focus and clarity. True or false? I have no idea. Check Urban Legends Reference Pages. Maybe, they know. For those of you taking the bar exam. The Fox conveys the Foxacre “to the Hare with the hope that he wins the race with the Tortoise”. Determine the interests conveyed and retained in this transaction. The Hare has a fee simple absolute. Defeasible fees require a determinate durational language. The words of mere desire, expectation or hope are not enough to create a defeasible fee. This rule of construction exists because courts disfavor restrictions of the use of land. The crock pot is a fine invention. I don’t use it for many things, but boy, do I like the beef stew prepared in the crock pot. You chop up the veggies and meat, add broth and tomatoes, and then the crock pot magic happens, and 8 hours later, or better yet, overnight, you have a delicious dish full of flavors with meat melting in your mouth. 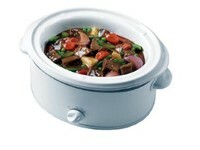 Why am I talking about the crock pot today? Because just like you have to trust the crock pot to do its magic, there are times when you have to trust the learning process to get you where you need to be. A preparation for the bar exam is a case in point. You do your best listening to the lectures, reading, taking notes, reviewing, practicing, and trust that the magic is going to work and you will pass. At any given moment, there is a huge amount of information thrown at you. You don’t want to control every little detail because it’s not possible. What you want to do is to start doing practice questions right away and keep doing it. You won’t feel as if you know the law enough, but that’s OK. You have to trust the process. Practice teaches your brain to recognize patterns that are tested on the bar exam. Pattern recognition is central to your success, and you can’t learn it just by reading and memorizing. If you have to choose between practicing and reading the long outline, practice and review the answers. And when you feel overwhelmed and insecure of your knowledge, remind yourself to trust the process to do its magic, no matter how slow your progress may seem, it’s just like the crock pot. Here’s good news and bad news about stress and memory delivered by SharpBrains. Bar candidates, listen in. Short-term, acute stress can help you concentrate and remember things better. That’s because the adrenal glands respond to the initial dose of stress by immediately releasing adrenalin, which can help your performance. However, long-term stress has the opposite effect. If the stress is severe or persistent, the adrenals release cortisol, which damages the neurons in the hippocampus, a part of the brain that is central to memory and learning. Make sure you take this quick test to measure your stress levels. To find out more about how your brain responds to various stressful situations, check out Stress on the Brain from The Franklin Institute Resources for Science Learning. How do you manage your stress levels? These 52 Proven Stress Reducers are a good place to start. When you study for a multiple-choice exam, such as MBE, you need to read the questions and options very carefully. Your choice of the answer may depend on just one word. Can you recognize those powerful words that trigger legal standards, call for doctrines, or cunningly distract you? To practice identifying such words, try the following game. Once you solve the original hypothetical question, go back and change one or two words in the question in such a way that alters your analysis. Rewrite the hypo and see where it takes you. It’s a good game to play with your study group if you participate in one. You have probably seen popular character names used in legal fact patterns. Most of them are there for pure entertainment. But fictional characters can do work for your memory as well. Here’s how – with the story of the Crow. One day, the Fox was sleuthing around the Foxacre when he saw the Raven perched in a tree with a piece of cheese in his beak. The Fox was hungry and came up with a plan to get the cheese from the Raven. The Fox deeded the Foxacre “to the Raven so long as the Raven does not sing in his ugly voice on the Foxacre.” The Raven, anxious to refute the criticism of his voice, set up a loud caw and dropped the cheese. Determine the types of interest conveyed and retained in the transaction. Who owns the Foxacre now? The Fox conveyed a fee simple determinable to the Raven and retained a possibility of reverter. When the Raven began to caw, the limitation stated in the conveyance occurred and the estate automatically reverted back to the Fox. 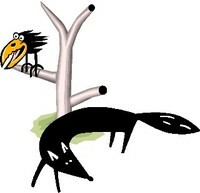 Fox Simply Deceived Poor Raven. Fee Simple Determinable and Possibility of Reverter. The familiar scenario when the Crow (Raven in my hypo because the letter “R” stands for “Reverter”) caws and drops the cheese, which the Fox immediately gets, reinforces the idea that the fee simple determinable is automatically terminated once the stated condition is broken. The sneaky Fox gets both the cheese and the estate in my hypo. An additional benefit is the phrase that helps you to memorize the estate and the future interest. Can you think of any scenarios from books or movies that inspire you to create your own memorable hypothetical for a flashcard? **Those of you who have been reading my blog for a while (thank you, thank you!) know that I have done a number of such memory aids throughout my posts. If you find them helpful, please let me know because I may be able to work on more of those to have a study aid product. I’d greatly appreciate your feedback, so leave a comment or send me an email. PLI offers bar exam tips from a panel of experts in the video and HTML text formats. Learn about Preparation Just Prior to Starting Your Bar Review Course. There is also advice on How to Write a Successful Bar Exam Answer and How Not to Be Conclusory. Check out Passing the Bar site created by Professor Vernellia Randall. It covers a variety of topics related to the bar exam preparation, including Specific Study Advice and tips on how to Develop Keywords Flashcards. Carolyn Nygren describes a 7-step training strategy for bar candidates to practice before the bar review course starts. FindLaw has a list of resources for the bar. To succeed at the bar exam, it’s not enough to know the law, you also need self-discipline, endurance, time-management and stress-management skills. You must train for each of these requirements accordingly. Remember the three “Ps” of performance: prioritize, plan, prepare. You need them as you study for the bar. To make my life easier, I just followed the schedule of the bar review course. You must have a schedule and stick to it. You won’t be able to catch up if you seriously fall behind because of the large volume of the material. Find a routine that works for you. It may consist of lectures in the morning, a lunch break, a short study session, a nice nap, another study session, a workout, dinner – you get the idea. See how your energy flows throughout the day and adjust your activities accordingly. Pace yourself and take study breaks. It’s a marathon, not a sprint, you need to build up your endurance and mental toughness and not to burn out in the process. Incorporate some type of exercise into your routine to bring oxygen to your brain, relieve stress and stay healthy. Take naps if you can. You are going to be learning so much every day, an afternoon nap will help you consolidate your memories. I started meditating daily for about 10-15 minutes when I was studying for the bar. Don’t try to make yourself more miserable than you need to be. Reward yourself periodically with some fun and entertainment, but avoid anything that can give you a hangover, insomnia or indigestion. The idea is to make you feel better, not worth. You can even combine your studies with something pleasant. Pack your books and go to a park or to the beach. Do lots of practice questions for the MBE portion of the exam. After reading a lot of questions, you become more attuned to the language and start recognizing patterns better. Time yourself when you do them. 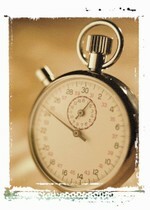 Getting the pace right is very important at the bar exam, so you should practice time-management early. Make sure you practice writing your full essay answers within the time constraints. Go back and edit some of your essays to make the writing more crisp and concise. Find better ways to state legal rules and standards so that you can use those phrases in other essays. For the rest of the essay questions, outline your answers to see if you can spot all the issues. Do the in-class, practice MBE exam, you need to know what a six-hour exam feels like. You can also schedule your own practice test or partner up with another bar candidate and take it together. On the day of the exam, the last thing you want to worry about is getting lost or being caught in traffic, torrential rain or blizzard. Visit the place beforehand. 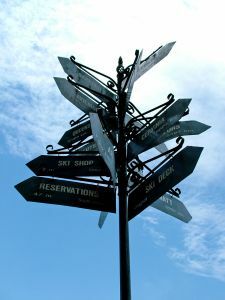 If you have to drive far or if the weather is unstable, consider staying in the hotel nearby for the days of the exam. When I moved to Buffalo, New York, I decided to take the February bar exam. Buffalo can get lots of snow, and I didn’t want to concern myself with the weather, so I stayed in the hotel where the bar exam took place. I slept better and longer. Finally, no matter what, just remember that it is going to be over soon. Do you need memory boost? Here are a few suggestions of memory techniques that you can use as you review for the finals and, for some of you, for the upcoming bar exam, with the links to my earlier posts. Create crossword puzzles to memorize legal terms and concepts. Puzzle your brain tells you how to do it with the example of the crossword puzzle on the rights and duties of cotenants. Create mnemonics to aid your memory. Memorize this provides an illustration from Property, Rights of Founders Against the Owners of Land. And here’s a mnemonic to help with the Rule Against Perpetuities. Branch out: use mind-mapping to create additional study aids. Metaphors and associations are great tools to incorporate the new material into your existing knowledge base. Here’s an example from the landlord and tenant law. If you find it hard to remember how and when certain rules apply in a sequence, peg the application of those rules to a system that is more memorable and familiar to you. Here’s an example of a memory peg to remember the interaction between the Rule in Shelley’s Case and the Doctrine of Merger. 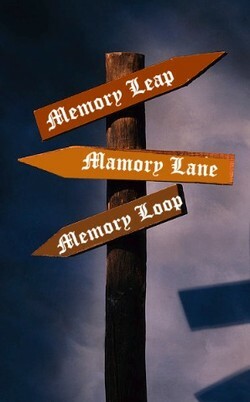 First, you choose your “memory palace”, which can be any place or route that you remember well. Next, you place your thoughts or images that you want to remember next to distinctive points in the rooms of your palace or along your route. Those points serve as memory hooks. When you need to recall the material, you mentally walk through the palace and “collect” the pieces of information that you left at each distinctive point. For more learning techniques, check out the Project Renaissance web site. Many of you are approaching another round of finals. In order to give you more varied pointers on how to review before the exam, I decided to ask some people about their approaches to reviewing. Coincidently, my husband is studying for the Chartered Financial Analyst (CFA) Level III exam right now, so I asked him. Here's how he thinks about reviewing material. What is the key point? Information generally comes with extraneous detail and noise. Boil down the key ideas into crisp points. Why does it matter? Knowing the importance of the information is critical. First, it provides context and relevance for the information. Second, it gives your mind an anchor or reference point to hang the information, so that it can be easily retrieved later. What does it mean? Put differently, how will this information change behavior going forward? Consider how you or people you know are impacted by the information? If you were an impacted individual, how would you see the world differently? Thinking about information through the eyes of those affected provides powerful insight into the consequences (intended and unintended) of the change. Do you have any tips to share? Comments are always welcome. And there are more tips to come, so check back soon. Spring semester flies by fast. Today I offer a round-up of my previous posts and a few other resources on exam preparation to keep you on track with your studies. Learning holistically is not done by trying to remember information by using repetition and force. Holistic learners instead organize their minds like spider webs. Every piece of information is a single point. That point is then consciously related to tons of other points on the web. There are no boxes with this form of learning. Science becomes literature which becomes economics. Subject distinctions may help when going to class, but a holistic learner never sees things in a box. The interconnectedness of ideas, concepts, experiences, disciplines is at the heart of holistic learning. Whether or not you practice holistic learning regularly, I think you are likely to experience the “magic” of holistic learning when you research and write a paper, work on a case in a clinic, or work on a project as an intern. You don’t try to memorize the material, but the engagement and thinking involved in the process will cause you to remember it even years later. Holistic learning is synthesis on steroids. You establish connections not only between the legal concepts you study, but also link to other disciplines and areas of life in general. Law is fertile ground for this as it permeates almost everything around us. In addition, law is constantly evolving, so to understand where a legal standard stands in relation to other rules and doctrines on the grand scheme of things is more important than to know its current interpretation (that doesn’t apply to the bar exam). It is like star gazing when you identify the stars by their relative positions in the constellation. Issue-spotting is another context where the holistic approach will serve you well because you have to take the characteristics of the familiar pattern and extend it to a new situation. What is this concept like? Think of any association that comes to mind. Go further and analyze the essential characteristics that make this association work. Is there a point where the association breaks down? What does this concept remind you of? Think of what you already know and how it can help you understand this concept better. Does it involve a process similar to “X”? Can it be applied just like “Y”? Does it produce outcomes much like “Z”? How does this concept relate to the previous material? Here you engage in synthesis. How do you think the doctrine will develop from this point on? Make some predictions about what’s to come. Do you know of any concrete, real-life scenarios where you can practice applying the theory? When you encounter or read about various controversies, think of what you know and how it applies to the situation in question. What other disciplines influence the evolution of this concept? For example, technological developments affect patent law. Ethics come into play in the regulation of biomedical research. As you read papers and listen to the news, think of the ways the law may change in the future. What areas of life are affected by this concept? Think of the results and consequences. Do you like them? Mind-mapping can be a great tool to visualize these multiple levels of connections. things just "clicked" for you? How did you get there? Develop the right mindset. Law School Academic Support Blog has a great post on The First Year Five-Step Grade Acceptance Plan. Feedback is information, and your brain must be receptive to take in the ideas that are offered. If you are angry, emotional, defensive, you can’t think clearly. Use stress-management techniques, such as taking deep breaths, to control your emotions. Schedule appropriate time and place for receiving feedback. You don’t want to be rushed or disrupted. It is probably not a good idea to seek feedback right after you see your grade even if you feel the urge to deal with it right away. Prepare for your feedback session. Think of the questions you may want to ask your professor. It should be a two-way conversation. Focus on the solutions of the future rather than the mistakes of the past. When you listen to your professor, your goal should be to understand, and not to judge what you hear. You will have time later to decide if you agree or disagree with the professor’s opinions and recommendations. Repeat back what your professor has said to avoid misunderstandings. You can offer your summary of the main points at the end of the session: “Let me see, Professor, if I understood you correctly. In your opinion, I should focus on …”. Ask clarifying questions, but don’t get into an argument. Keep it professional. Take notes so that you can review them later when you decide what to do about the feedback. Don’t feel that you have to accept each piece of advice. You can sort the recommendations you received into three categories: “cash,” “stash,“ and “trash.” “Cash” is the “golden” advice that you should definitely follow. “Trash” is the advice you choose to ignore. “Stash” is the advice that you need to think about in the future. Turn your feedback into a set of goals and actions to implement. There is no use in feedback if you don’t plan to do anything about it. Acknowledge your professor’s time and expertise and thank him or her for the feedback. You are in law school to learn, and your professor is there to teach you. A feedback session can make the process easier for both of you. Students sometimes have trouble composing analytical sentences. They describe the applicable legal standard, mention the facts, and end up with the conclusion rather than the analysis. For example, if I say: “The risk of injury to a tenant resulting from criminal activity on the premises was foreseeable because the landlord decreased the security in the building, the crime rate in the building increased, and the tenant complained about the security of the common areas to the landlord,” I stated a conclusion. I mentioned the legal standard of foreseeability and the facts that the landlord decreased the security, the crime rate went up, and the tenant complained. What’s missing is the analysis. Because the analysis is usually based on common sense and our understanding of how things work in the world, it’s easy to fill the analytical gap in the sentence above in our minds and forget to verbalize it. When I said that the landlord decreased the security in the building and the crime rate went up, you understood that to mean that the risk of injury to a tenant really existed. You wouldn' t have the same understanding if I told you that the building was vacant. When I said that the tenant complained about the security of the common areas to the landlord, you inferred that the landlord was aware of the problem with the common areas. Now, what if I tell your that the tenant had hallusinations, made up stories all the time, and everybody in the building knew about it? Some of you may find it helpful to compare the process of writing out the analysis to making a mosaic. Your mosaic board is the legal standard. The mosaic pieces are the facts. Before you start gluing the pieces to the board, you need to have a mental image of what you want to create, and you need to draw that image on the board so that you know where each piece goes. Similarly, you need to put into words your understanding of how facts meet the legal standard. Did you know that your brain uses 20 to 25 percent of the total energy you consume? The better nourishment you provide for you brain, the better it works for you. But do you want to waste your mental power on planning healthy meals in the midst of studying for exams? Probably not, that’s why I’ve decided to share with you one of my favorite quick brain-friendly snacks – my hot pita sandwich. Preheat the over to 350F. Place a whole-wheat pita on a baking sheet, you don’t need to cut or open the pita. Put a few slices of the red bell pepper on top, spice it up with salt and pepper. Next, add some deli turkey and top it off with a slice of mozzarella cheese. Put the sandwich in the oven until the cheese melts and turns golden brown in spots. Enjoy! If you don’t eat meat, a nice substitute combination would be a plum tomato, fresh basil leaves, and mozzarella cheese. And have a cup of green tea instead of a sugar- or aspartame-laden soda. It contains caffeine, so it will give you an energy boost. In addition, the polyphenols and tannins found in green tea have been shown to improve the brain function. I also have a dessert for your memory. Do you remember which interests can be potentially affected by the Rule Against Perpetuities? No more time for whining and complaining. The exams are here. What do you need to do your best? You need the winning mindset. And who knows more about winning than athletes? Much like law students, athletes endure grueling schedules, successes and setbacks, the pressure to perform and manage expectations of their coaches, families, sponsors. How do they mentally prepare for the competitions? According to Dr. Aimee Kimball, director of mental training at UPMS Sports Medicine: “Mental training gives athletes the knowledge and ability to control their thinking and emotions, and in turn, their performance.” Law students can also benefit from mental training techniques. Visualization is one of the main techniques used by the athletes to create a successful course of events in their minds. According to the MIT research, it does not make much difference to the brain whether you see the real thing or imagine it: the brain responds in a similar pattern. Imagine how you want the day of the test to unfold. Picture yourself entering the classroom, you are composed and confident. You read the questions and know how to approach them. You are able to recall the information with ease. You manage time well. Imagine the sense of relief and satisfaction when the test is over. Use as many senses as you can to make the image real in your mind. Remembering your previous best performance can help you to replicate the experience. Remember the details of that peak performance. How did you feel? How did you handle challenges? The task is to recreate the mindset that led you to succeed. Once you have it, come up with a trigger word to anchor your experience. Use this trigger word to snap you back into the winning mentality when you need it. Repeat it to overcome the negative self-talk. Creating a ritual can help you to focus and stay in control. Exams are nerve-racking because we don’t know what to expect. Simple routines, including some breathing exercises, meditation, listening to a favorite song, can calm your mind. Develop the right attitude. Aligning your expectations with reality is an important step to avoid excessive stress and frustration. You can’t expect perfection every time. How you respond to what happens matters more than the happening itself. Set personal and meaningful goals to measure your own progress and commit to them. Control what you can and don’t stress about the uncontrollable. Increase your energy level. You can’t have the focus and mental alertness that you need for the peak performance if you lack energy. If you want to do well, you need to watch your diet, find time to exercise and get enough sleep. Easier said than done, but those who manage to do it consistently will be higher on that curve. Increase your efforts. Step it up a notch to build up some intensity before the test week. Do practice questions with time constraints. Set a schedule for review. Get into the rhythm. It’s like flexing your brain before the important event. Make it through the test “one play at a time.” Don’t let one difficult question throw you off for the rest of the test. Stay focused on the task at hand. Set a pace, and when the time allocated to the question is up, move on. Do you have any mental training tips to share? Please leave a comment. Grades are not for despairing. When you have about a week left before your exams start, how can you ensure that you have enough time to cover everything you need? (As if you ever have enough time for anything in law school…) I found the answer in Granularity for students by Lifehack.org. It describes the application of the notion of “granularity” to studying. The “granularity” method presupposes breaking down a daunting task into smaller manageable parts. You can then prioritize and schedule those smaller projects accordingly. First, you determine how much time you have to study each day. You fill in the time in minutes. Second, you decide what percentage of that time you allocate to each subject based on your exam schedule and your preparedness. For example, you may decide to spend 100% of day 1 on Torts and split day 2 50%-50% between Property and Con. Law. Third, you break down each subject into smaller activities, such as outlining, practice, review, etc. Then you decide what percentage of time you want to spend on each activity for that subject. I filled out the tables with random numbers to give you an example. You can substitute your own activities, subjects and percentages. Now you are done! The summary table automatically calculates how many minutes you will spend on each activity of each subject for every day of study. That’s the second sheet in my Excel file, titled Weekly Summary Sheet. It is pretty granular, but I found that sticking to a schedule helped especially when I had to study multiple subjects for the bar -- for two states, in fact, Illinois and later New York (yes, I was crazy enough to repreat the experience when we moved to New York a few years later). Let me know if you find this approach useful. As many law students are heading home for their Thanksgiving Break, the Law School Academic Support Blog is Talking Turkey about the Thanksgiving Break. According to their advice, you need to do some planning to use this time effectively and balance your travel, family expectations, studying priorities and good times. Speaking of the Thanksgiving dinner, did you know that an attorney invented cranberry sauce? I sure didn't till I read Thanksgiving Special: the Lawyer Who Invented Cranberry Sauce by JD Bliss. I personally like cranberry jelly made from fresh cranberries and dried apricots with a little bit of orange zest. Also, here is a link to my all-time favorite cranberry pumpkin bread, it's very easy to make. This week I’ve been writing about exam-taking strategies, and I’d like to conclude my mini-series by addressing some of the studying myths that float around the university hallways. Myth #1: Cramming will improve my chances. We’ve all done it. You have only a few hours left before the exam, and there is still so much to learn and review. The problem with cramming is that you can’t stuff your brain like cabbage leaves. It won’t retain the information. However, it can make you too tired to take the test, which may cause you to forget what you knew pretty well before. It’s not worth it. Myth #2: I’ll study every awaking hour to outperform the competition. While it’s tempting to keep going and going, it is actually more efficient if you study for about 50 minutes and then take a 10-minute brake. There is some magic about 50 minutes. Your brain will like that pattern. Myth #3: Burning the midnight oil is what all students do before the exams. It’s only natural to sacrifice some sleep for the good of knowledge, isn’t it? Wrong. Studies that registered brain activation patterns of sleep-deprived participants showed that they performed worse on complex cognitive tasks when compared to rested participants. Make sure you get enough sleep before the tests. Myth #4: You need complete silence to study well. It may be true for some people who are very sensitive to sound distractions. However, listening to Baroque music like Mozart can improve your learning. Myth #5: Everybody learns in the same way. In reality, we all learn differently and need different studying techniques to capitalize on our strengths. See my previous post on multiple intelligences. Some students need pictures and flowcharts to improve understanding. Others may benefit from discussing the material with their classmates. Identify your learning style and adjust your studying strategy accordingly. Finally, here is some truth to consider: positive attitude improves your performance. Give the Universe a holler that you are ready for that test. “Some of the best lessons we ever learn we learn from our mistakes and failures. The error of the past is the wisdom and success of the future.” Tyron Edwards (1809-1894). Do you have the necessary information to evaluate your exam experience? Sometimes, it is hard to be objective when emotions are involved. Focus on turning the situation into a positive plan of action. Talk to your professor to get additional feedback. Were you satisfied with how you prepared for the exam? Was the grade a surprise? What were your goals for the exam? Which of those goals were not achieved? Don’t set your goals in terms of getting a particular grade or passing the exam. Think about the skills that are required of you to do well on the test and set your goals around the activities that help you to develop those skills. You want precise and measurable goals. If studying with flashcards helps you to learn the law, put it as your goal to have 100% of the answers correct for each topic you study. What was your weakest spot? Did you miss most of the points because you did not know the law, or you could not apply the law to the facts in a logical fashion, or because you ran out of time? Adjust your goals to address the weak spots. Are you going to make any changes in the way you study for the next exam? The time is scarce in law school. You need to know which study methods work for you and which don’t. Spend your time on what works. How was your physical and mental composure during the test? Is it time to learn some stress management techniques? Would you benefit from a better support network? Were you able to capitalize on your learning style during the preparation stage and the test itself? Why not? How can you change that? Make a list of the resources you need to do better. Should you join a study group or is your time better spent on practicing with CALI? More importantly, if you feel down, focus on a bigger picture: how would it make you feel to accomplish what you started and be able to do what you love? Here is a visualization exercise: Imagine yourself 5 years from now, being successful in what you do. You are a mentor to a young L1 who is eager to know how you got to that point in your life. Looking back on your path, what would you tell him? Create your own story of success. Is there anything you can add to this “turning point” list? As always, I’d love to hear from you. When you learn a new legal concept, pay attention to the context in which it applies. What are the facts that trigger this rule of law? Stories are your friends when it comes to issue-spotting. What cases do you remember best? Probably, the ones with the most bizarre and memorable story lines. Make the stories vivid in your mind because images help your memory. I still remember the “hairy hand” case from the Contracts course. When you prepare your outline, include a case brief or a hypothetical to introduce the legal rule. See my previous post on mind-mapping for an example. Just knowing the law is not enough if you can’t recognize when to apply it. They say that the best way to learn something is to teach it. If you were a professor, what fact pattern or hypothetical would you use to illustrate the legal rule? Play with the facts, change them, see how it affects the legal outcome. This exercise helps to train your brain to look for the relevant information. Create a map of tags, or buzzwords, for a particular legal rule or an element. Let’s say, I know my five criteria to acquire title by adverse possession, but I want to know what facts would trigger the application of the “actual” element. Here is the sub-map I created for this specific element, click on it to enlarge. A word of caution: this sub-map shows which facts may trigger the application of the element “actual”, it does not tell us whether the presence of those circumstances will satisfy the test. They may or they may not. In fact, courts may reach different conclusions. What’s important for you is to spot the issue and analyze it even if you are unsure how the courts will come out on this. Practice, practice, practice! Flashcards are very useful for issue-spotting, and so are practice tests. You can even read a newspaper and spot issues if you want to. When you are taking the test, scrutinize the facts. Why is this seemingly trivial detail mentioned here? What is its legal significance? Ask: “So what?” However, don’t invent issues, it’s a waste of time. As to the different types of testable issues, read Professor Vernellia Randall’s explanations and the Flowchart for Issue-spotting. My wrist starts hurting when I just think about it. In fact, I remember how after one of my first essay exams in law school, I went to a fast food establishment, ordered my food and dropped the entire tray on my way to the table. Quite embarrassing... but not as embarrassing as failing your essay test, so let’s get to business. Here is what professors and other stakeholders have to say on the subject of taking an essay exam. Start off by looking through the entire exam packet to determine how many questions you have and how much time you should allot to each question. Also, make sure no pages are missing. Start reading the problem at the end. Yes, that’s right, go directly to the call of the question, which usually appears at the end of the fact pattern. Your brain would like to know first what the context is for all that mumbo jumbo. Otherwise, if you read the facts first, you brain will start firing in all directions that may have nothing to do with the question. Harness that brain power by focusing it. Once you know the question, do the first cursory reading of the facts. Aim at general understanding but take note of the issues that jump out at you. High-light or circle the key phrases. Make notations of the legal concepts at issue on the margins. Read the fact pattern again, slowly. Look for more words that trigger issues or application of legal elements or test prongs. Scrutinize the facts: Why are they mentioned? 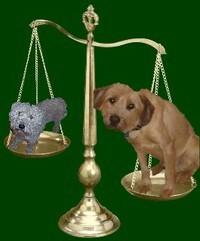 What is their legal significance? You may score some extra points by spotting less obvious issues. Now you are ready to plan your answer. List your issues in the order of importance. Don’t discuss issues that are not supported by the facts. You need the right key to open a lock, so don’t waste time on trying the keys that don’t fit. Determine if you want to organize your answer by parties or causes of action. Make sure you address all the prima facie elements, counterarguments and defenses that apply. Make a brief outline using the IRAC or CRAC paradigms. Mnemonics can be very helpful here to save time. Make sure your answer is responsive to the question asked, that’s why the planning stage is so important. Use the right legal terminology when you state the applicable rule of law, its elements or prongs of a test. Discuss the elements in the logical order. Make sure you analyze how the law applies to the facts, not just write the conclusions. Professor Vernellia Randall has some good examples of how to distinguish analytical sentences from conclusions. Provide conclusions for the reader. Don’t repeat the facts, use them when you discuss how the law applies to the facts. Be objective. Address and evaluate all counterarguments and defenses. If the professor allows it, write on every other line and every other page. That will leave you more room to fit in any extra thoughts you may have later. Do NOT borrow time from another question to finish your argument. Say to yourself that you will come back to it if you have time at the end and move on. If there are 5 minutes left and you know you won’t finish writing your essay, outline the issues with whatever bits and pieces you have time to mention. It may give you some partial credit. Once it’s over, it’s over. Forget about it. If you would like to listen to more advice and the discussion of common errors that students make, CALI Radio has Top Ten Tips for Successfully Writing a Law School Essay. Last weekend, as I was enjoying my first cup of eggnog latte this season, a sudden realization pierced my happy holiday bubble, so artfully created by the retail industry. It was time to address the main hurdle that separated law students from their winter holidays. I am talking about the law school exams, of course, and I’ve decided to dedicate this whole week to the subject. I’ll be doing lots of slicing and dicing in my virtual kitchen to perfect the recipes for successful test-taking. Today’s special on my menu is the multiple choice test. I urge you to work through the article How To Answer Multiple Choice Questions based on Evaluation and Grading In Law School by Michael Josephson and updates by Vernellia Randall and Rogelio Lasso. It’s full of detail and insights. Here is my rendition of DON'Ts, Alerts and DOs from the article. Don't complete definitions and arguments in your mind. Don't make the facts more complex than they really are. Don't ignore the stated facts even if they seem odd to you. Don't guess until you've eliminated the definitely wrong options. Distractors and foils that convey superficial plausibility. Doctrines or rules that you never heard of (probably indicate an incorrect option). Inconsistencies in facts, arguments and conclusions. Seemingly meaningless details about people. Modifiers: because, since, as, as long as, unless, etc. Rules from inapplicable body of law. Rules that don't apply to the facts. Words of certainty: always, never, must, cannot, etc. Answers that are opposites (one is probably true). Identify the central issue in the facts and responses. 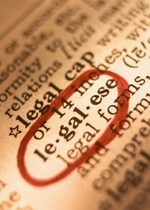 Determine which legal concepts apply before reading the options. Know which role you are asked to play in a question, i.e. Judge, Advocate, Scholar. Apply legal principles to facts in a rational manner. Read the statutes carefully and apply mechanically. Determine how much time you have per question and stick to the schedule.